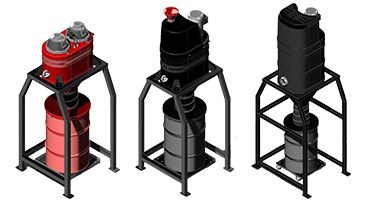 Ruwac's mini central vacuum systems systems offer a versatile level of filtration in a compact design with an increased collection capacity that increases productivity, and makes emptying materials quick and easy. Ruwac's Alternative Power Series mini central vacuum systems are the stationary counterpart to the portable Alternative Power Series, and boast a larger collection capacity thanks to a 30 gallon drum. 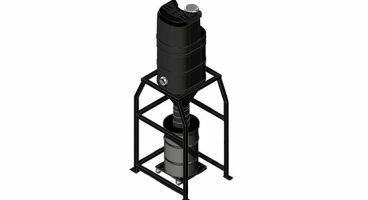 These silo systems are innovatively designed with air-powered motors, making themideal for remote usage where power cords and electricity are unavailable or not an option, and their cordless, rugged design is built to withstand outdoor elements as well. The Workhorse Series mini central vacuum systems by provide single and three phase continuous duty power and a larger collection capacity thanks to a 30 gallon drum. 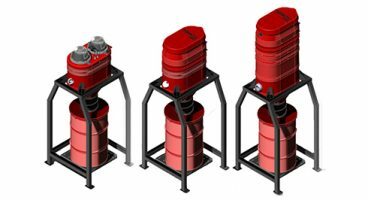 These silo systems are fully grounded and sealed to protect against static build-up, and are ideal for point of source extraction, removal of explosive materials and general shop maintenance. The Red Line Series mini central vacuum systems by Ruwac provide powerful single phase, intermittent duty performance with the benefits of a larger collection capacity thanks to a 30 gallon drum. 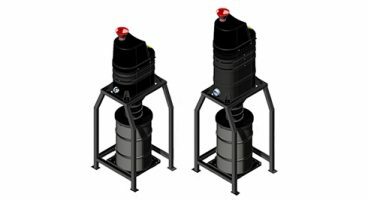 These silo systems are fully grounded to protect against static build-up, and are ideal for general housekeeping, work place maintenance and point of source extraction. 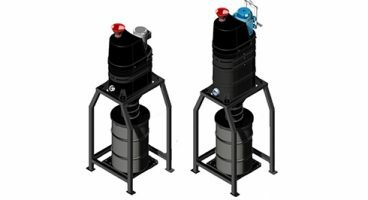 Ruwac's Powerhouse Series mini central vacuum systems offer continuous duty operation that is designed with more power and filtration than any other Ruwac silo vacuum series while using less horsepower. These vacuums are great for the collection of heavier materials and large quantities of dust, and allows operation by multiple users while adapting to longer hose lengths.